With the introduction of steam power a greater number of vessels began plying their trade to the Forth. These vessels could carry greater amounts of cargo and passengers, the direct landing of the latter causing concern. 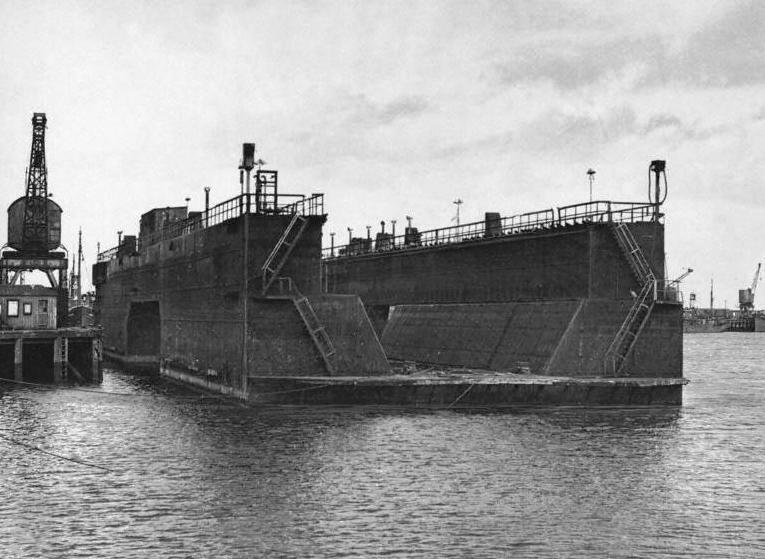 A number of schemes were put forward one being the construction of an entirely new harbour at the deep water at Granton. This proposal was looked upon with great interest by the Duke of Buccleuch who owned the land and foreshore rights. Various reports and estimates were submitted and approved by a meeting of the "Mercantile and Nautical Gentlemen" in Edinburgh. His Grace was so convinced of its need and practicability he himself bore the entire cost of the work. The Granton bill was introduced to parliament in 1836 and was given royal approval on the 21st April 1837 by William IV, for the Duke of Buccleuch to make and maintain a pier at Granton. The construction of this pier was carried out by Messrs. John Orrell & Co Liverpool. This pier was constructed in sections the first of which was opened 28th June 1838, the date of Queen Victoria’s coronation. It was named the Victoria jetty in the Queen’s honour. In 1842 the Queen and Prince Albert landed at Granton from the royal yacht "Royal George". The underwater work and foundations of the structure was carried out with the use of diving bells. The last remaining section was completed in October 1844 and was 1700ft in length. In 1842 an act was passed to allow for the construction of two breakwaters to provide for a safe landing place and harbour. Therefore protecting vessels from both easterly and the westerly prevailing winds. The terraced houses stretching from Granton Square ( Middle Pier to the Eastern Breakwater) along Lower Granton Road ,were built to accommodate the families of the construction workers. The Western breakwater was undertaken in two sections and the first completed in 1849 at a length of 1500ft. When complete the total length was 3100ft. Work on the Eastern Breakwater was commenced in 1853 and completed in 1863 at a length of 3170ft. The stone for the harbour construction was quarried at Granton Quarry (save for a few larger facing blocks from Fife) just West of the Western breakwater. The construction of the breakwaters was so effectively carried out they have never required maintenance or repair. 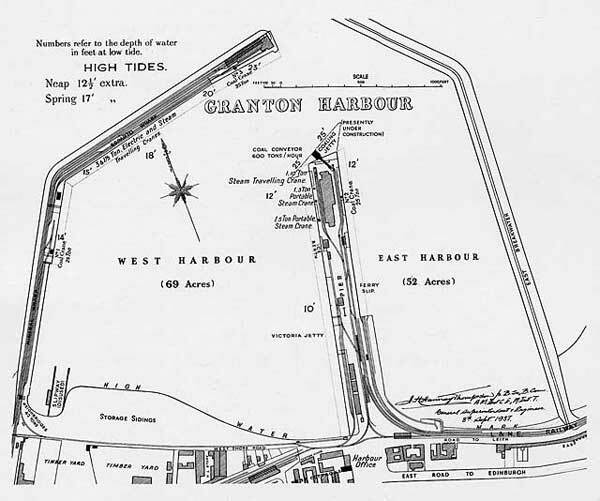 The construction of the harbour at Granton alerted the railways companies who duly laid tracks along the Western breakwater and down the Middle Pier as the extended Victoria jetty was now known. This allowed for rail connection to every berth in the harbour. With the Lothian coalfields being readily accessible vast quantities of coal were carried by the railways to be carried away by ship from Granton. The harbour was requisitioned by the Royal Navy during both world wars. After the Second World War a concrete floating dock was purchased from the admiralty to appease the trawler owners. This was moored alongside the West Pier and was able to dock ships of 160ft in length and 15ft in draught. The Middle Pier and the surrounding area became a hive of industry with Blacksmiths, Riggers Engineers, Net makers and an Ice Company (on Middle Pier) all within walking distance. Shipbuilders and repairers opened yards in the harbour, there was even a ship breakers yard (Malcolm Brechin) in the South West corner of the West Harbour, the scrap steel being despatched by rail.